I have to admit I’ve been a little disappointed in the vegan options in San Diego so far…I know they’re around but I was so spoiled living in L.A. and I have to work a little bit harder here to sniff out the good places. I’m so stoked that there’s a Veggie Grill about half a mile from my work and I do love my VG, but I really want to find more locally owned places. 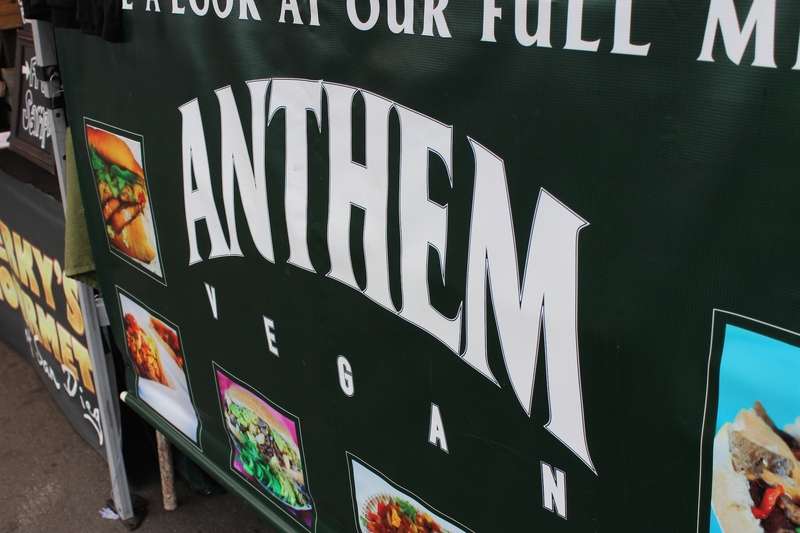 So goal number one for today was to find Anthem Vegan and get myself their Southwestern Breakfast Burrito. I had high hopes for this burrito consisting of herbed tofu, breakfast sausage, potatoes, onions, bell peppers, guac and chipotle aioli and they absolutely did not disappoint! 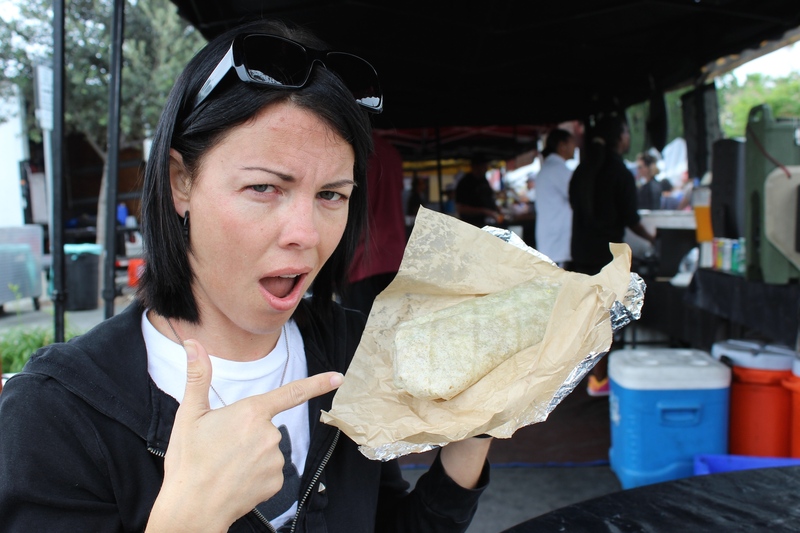 This burrito was HUGE (almost as big as my head!) and so. frickin. flavorful! 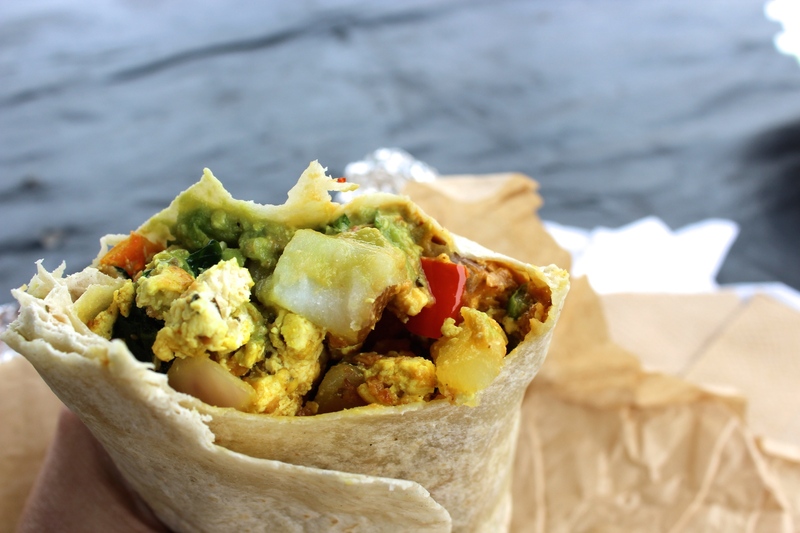 I was in love at first bite from the soft perfectly seasoned tofu, the spicy sausage and the creamy guacamole accentuated by the crunch of the pepper and onion….heaven…just pure breakfast burrito heaven. I can’t wait to hit them up again and try everything on their menu. 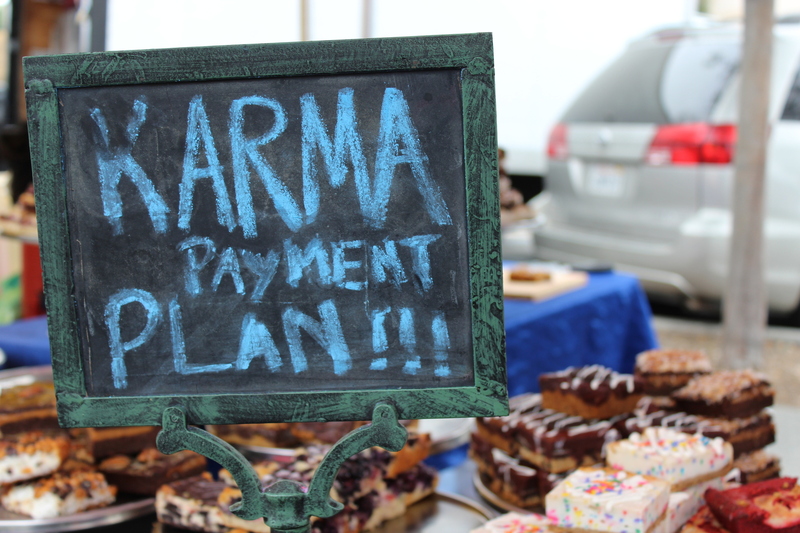 I was also impressed with the amount of other vegan vendors there. 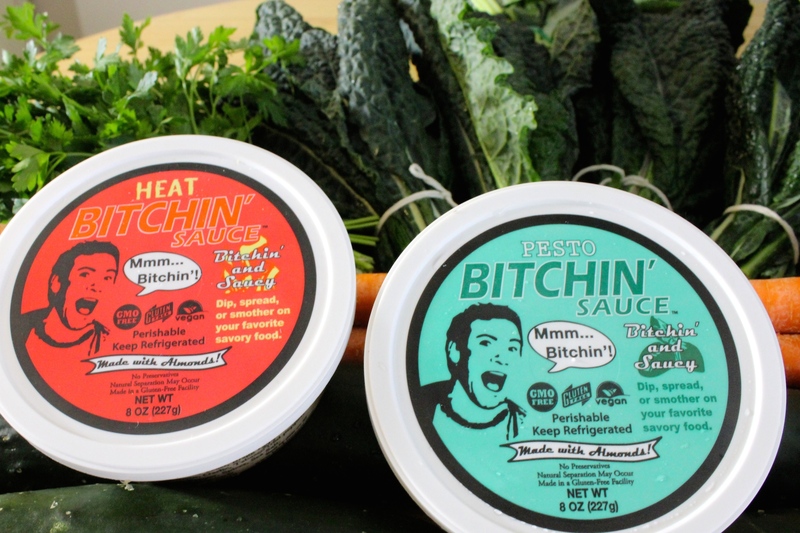 One of my favorites was the Bitchin Sauce made from almonds. 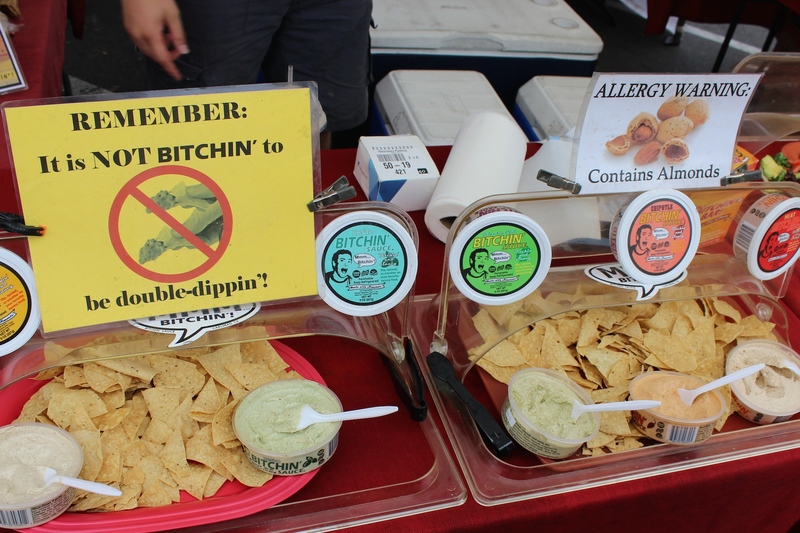 Kind of the consistency of hummus, but a little creamier and they had some awesome flavors. I opted for the pesto and heat. Great alternative when you’re kind of over hummus but still want a nice dip for chips or veggies. And nearly cried when I saw that it said vegan! 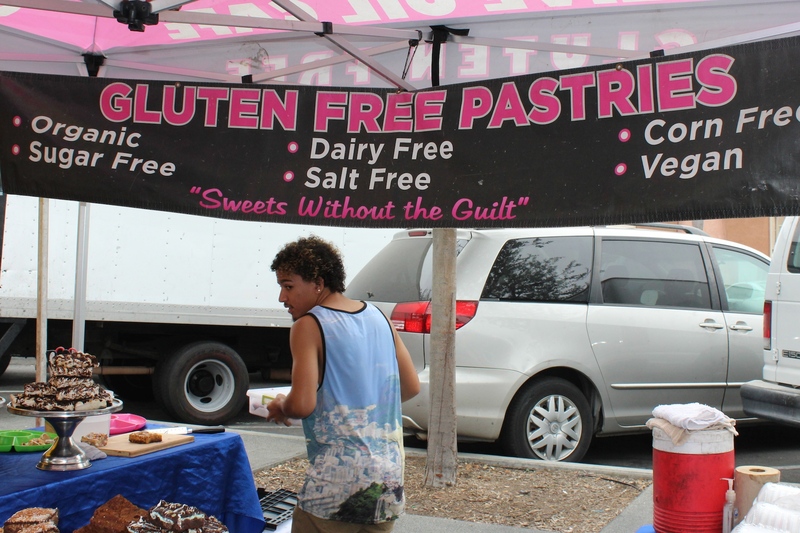 I assumed one or two brownies were vegan but almost every single one was (and all are gluten-free)!! It was a hard decision but I had to get the samoa – german chocolate, coconut & carmel. 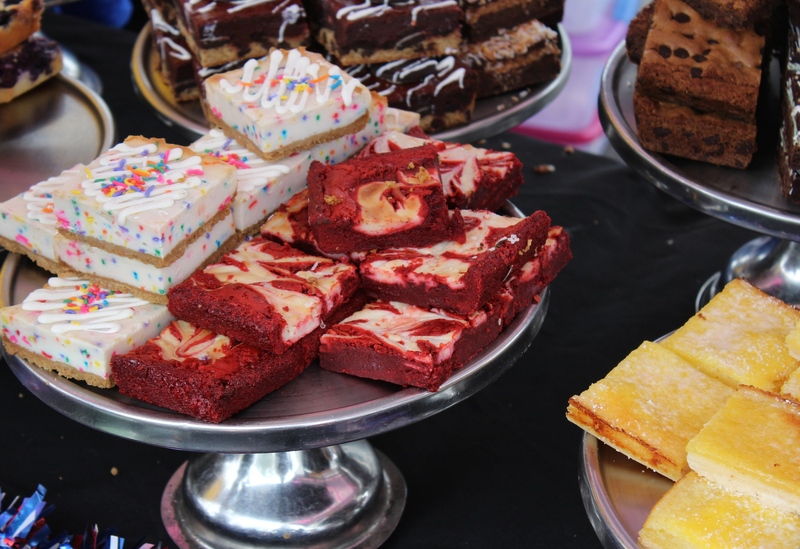 I took one bite and my eyes rolled back into my head…so rich and dreamy! They don’t have a website but if you’re in San Diego on a Sunday, head to the Hillcrest farmers market and HUNT THEM DOWN – Olive Oil Cafe. 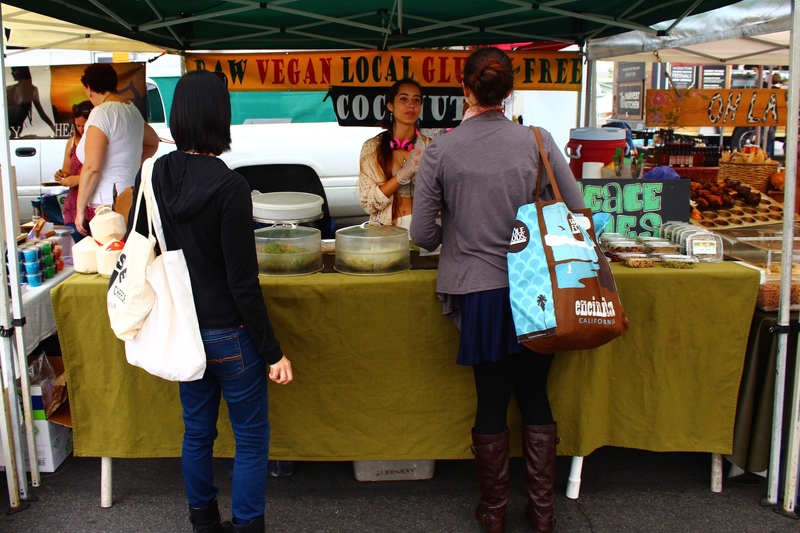 Overall I was a happy happy girl to encounter so many vegan friendly vendors. We left with bellies full and a ton of produce for our juice cleanse this week! I can’t wait to go back!